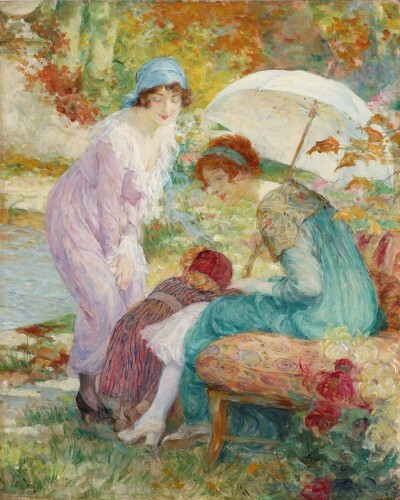 A "genre" painting representing a mother supervising her two small daughters at the Park. 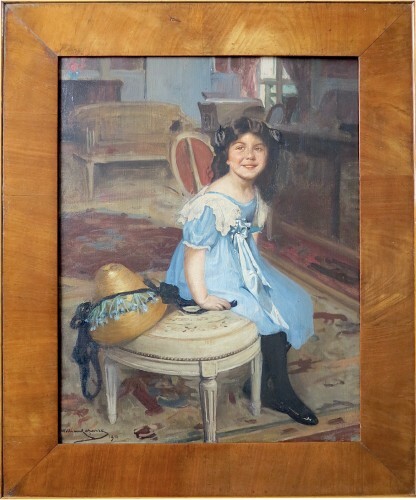 Oil on canvas signed bottom right Joseph Dierickx and dated1903. A pupil of Jean Portaels and Joseph Stallaert. 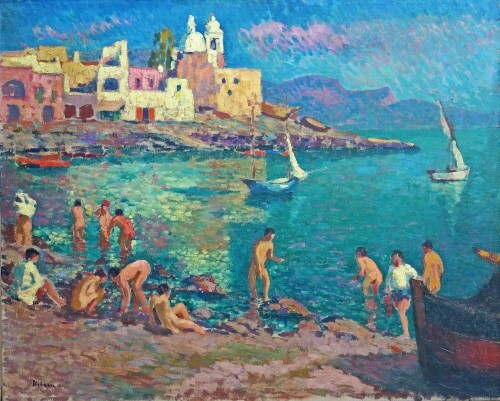 In 1887 he won the Godecharle price which enabled him to make the go to Italy. 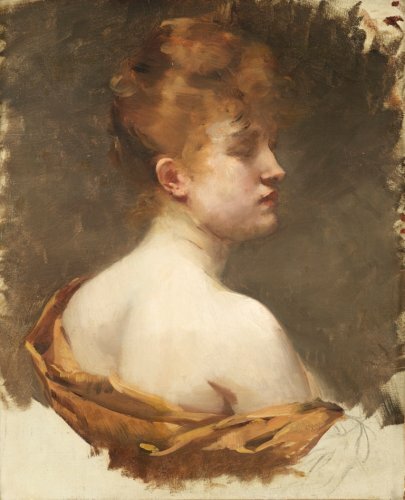 After that he regurlaly exhibited at the "Cercle for the Art" founded in 1892. Its manner of painting always shows a research in light effects.